Four years ago a father and son collaborated on a fun project to write a science fiction story; an effort that was to blossom into something more than a one-time partnership. 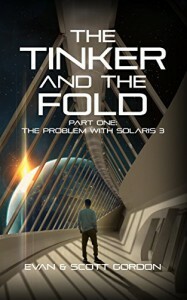 The Tinker and the Fold: The Problem with Solaris 3, sees their effort brought to full fruition in this first book of a trilogy, a result of that process; but if readers anticipate a genre read replete with conventional devices, they will immediately realize there's far more happening here than a predictable story line. Many sci-fi reads for young adults revolve around events and characters which don't stand out from the crowd. Not so with The Problem with Solaris 3, which opens with sassy young Jett's increasing defiance of the status quo. His attitude crosses over from school to life in general, and though his twin brother Jack strives to blend in, Jett is determined to carve his own path and personality as he navigates his world. It's this attitude that earns the eighth grader a unique place in the scheme of things to follow when his proclivity for tinkering attracts the attention of The Fold, a galactic peacekeeping organization, and leads to quite a different kind of alien abduction than popular literature portrays. From an invention that tests his mother's quantum theories and opens the door to strange new worlds to Jett's place not just on Earth, but in the universe, The Problem with Solaris 3 succeeds in going where few other young adult science fiction reads can follow, transporting its readers to a unique universe replete with kidnappings, unexpectedly hilarious alien invasions, and a "must have" list of tools that includes impeccable and funny logic. Each chapter adds a dose of humor and wry observation that defies normal sci-fi approaches. Each builds upon Jett's clever, creative character and the strange worlds he encounters, which are graphically and beautifully described from a pre-teen's viewpoint. Even when dialogue and extraterrestrial encounters are taking place, the sassy, spunky interactions between characters are fun and refreshingly original. 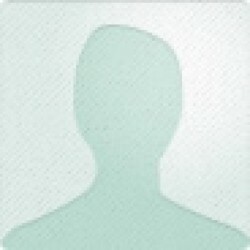 The difference between a one-dimensional, predictable sci-fi read for young adults and one which is a standout in its genre often lies in a combination of author approach and fresh, original details; and the father-son team of Evan & Scott Gordon succeed in going where few writers (much less family authors) have gone before. Rich in characterization, plot, development, and humor, the story unfolds as a winner and is highly recommended not just for the young adult audience it's intended for; but for many an adult sci-fi fan looking for the truly remarkable standout read that includes thought-provoking reflections on the nature of peace, collective consciousness, and ruling systems.